Etymotic Research takes pain staking effort in delivering the best noise cancellation ear phones in the market, with meticulous attention to design engineering and performance technology. The Etymotic Research HF5 Portable In-Ear Earphones fall right into this category of superbly manufactured ear plugs aimed at providing the ultimate music experience. 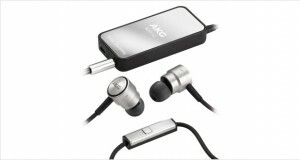 Infact, they are one of the best mid range in-ear headphones in the market. Every voice, every instrument, and every nuance – the Etymotic Research HF5 Portable In-Ear Headphones pays close attention to the most minute of details. Couple that with effortless noise-cancellation that almost completely does away with ambient sound, and you have one of the best noise cancelling headphones in the industry. The headphones utilize an open design that provides an airy room-like listening experience. While some might find the three flanged design of the Etymotic Research HF5 In-Ear Earphones as slightly inconvenient for use, the nifty engineering actually calls for a precise insertion in to the ear drum to provide maximum noise cancellation. 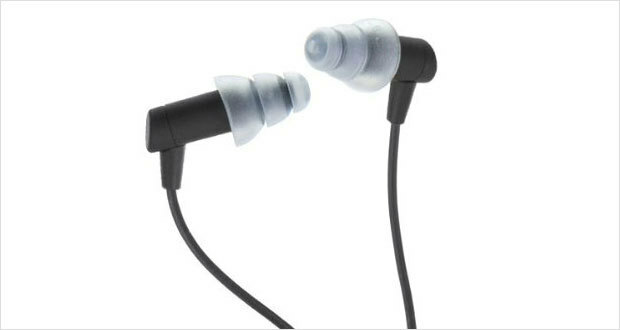 The ear buds come in different sizes that are easily available from Etymotic Research and are fairly inexpensive. Colors (black, ruby and cobalt) come with a metallic feel that gives the ear buds that extra panache. Dimensions1.49 x 7.25 x 5.98"
Build is crafty with the lightweight earplugs performing better than some of its heavyweight counterparts in the market. The cable is made of rubber and not flimsy plastic. However, the junction point between the two headpieces is a point of vulnerability with a tendency to snap as any pressure at any point on the wire immediately manifests itself at this point. Only one extra pair of earbuds comes with the package, though. 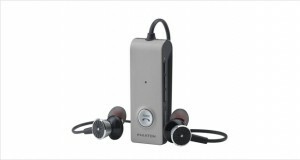 The earphones come with ear buds especially designed for maximum noise cancellation when inserted into the ear canal. Primarily uncomfortable, with proper insertion technique (available on a video on their site) and habit of use, however, they become smoother on the ears. And once habituated, are comfortable to wear for long hours. The highs are cleanly etched out; the treble lands crisp on the ears. The midrange is clear with little roll off. Bass is high definition, and coupled with noise cancellation, works beautifully to produce a ‘listen-worthy’ bass instead of a ‘feel-worthy’ one more commonly available. 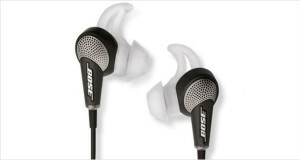 The ear buds are designed with superior engineering to cut down ambient decibel levels to a minimum. So much so that with the headphones on, one feels almost completely isolated from the outside world! The headphones are true to their word – noise reduction is impeccable, sound quality is of the highest order with immaculate precision and tonal variations. Only one pair of extra filters. Almost too isolating as one loses touch with surroundings completely, even in a noisy bus. The Etymotic Research HF5 Portable In-Ear Earphones give what you expect, and then some. Noise reduction, sound clarity, build quality – you name it, and Etymotic Research has paid attention to it. It is high definition music poured right into your ears. For the price bracket and the performance, they are definitely one of the mid-range best noise cancelling headphones in the market and focusing on the minor glitches appears almost petty. Whether you are an anglophile or not, this music experience, deep and luxurious like Marsala wine, will make you fall in love with music like never before.